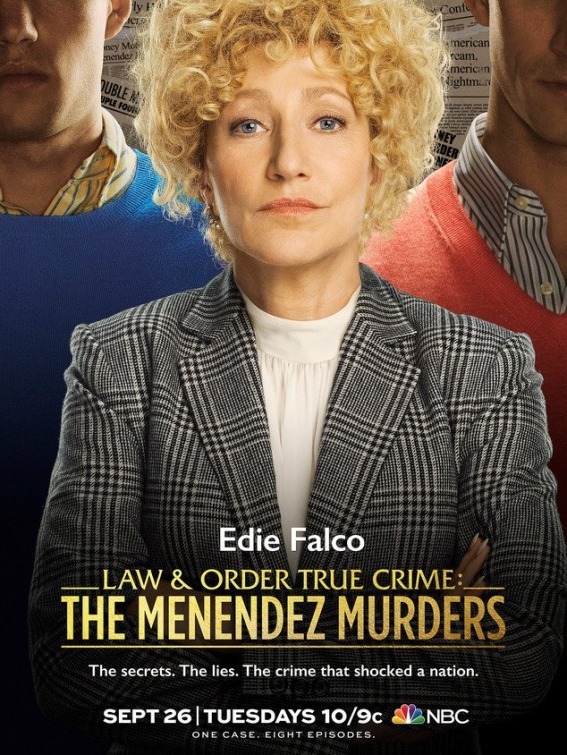 For me, there was no need to read the synopsis of “Law & Order True Crime: The Menendez Murders” series. Their name alone was enough for me to ring the bell and remind me of the shocking murder story committed by the brothers on March 8th, 1990 in Beverly Hills. Thanks to Discovery Investigation’s dramatized docuseries and some decent articles I read years ago, this almost perfect crime story had turned into the most televised event of the time when the whole nation was obsessed with the story. In the end, the two brothers were sent to prison to serve their life sentence. Having recruited a stellar cast, NBC brings this story back to life creating a powerful court drama full of mystery. What went wrong when the curtain fell down and the faces of the young murderers became unmasked? The show begins with Lyle Menendez who calls 911 and with a desperately broken voice reports that their parents were shot to death in their Beverly Hills mansion. At first, it looks like a failed robbery attempt with a fatal outcome, where the siblings Lyle and Erik have returned home to find their parents dead. The police would probably have closed the case if not for a small, yet crucial detail. The brothers suddenly go into some shopping frenzy, attending the most expensive stores and spending their parents’ fortune on buying exquisite clothes for themselves instead of mourning the sudden death of their loved ones. As if that is not enough, Erik – the younger brother, who is less emotionally stable, confesses to their family psychiatrist the truth, that will turn their destiny upside down and the lives of the two young brothers hanging on the edge of a cliff. The background story of the Menendez brothers’ crime is fascinating. That is the least I can say. And that makes the “Law & Order True Crime” is even more interesting than you can imagine. Certain characters have been created in the drama, yet the entire show is based on a true crime and will reveal dozens of gripping details that will allow the viewer to come to their own conclusions. This court drama is powerfully directed by Fred Berner, Holly Dale, Lesli Linka Glatter and Michael Pressman, and features a super performance from the entire cast, including Edie Falco, Miles Gaston Villanueva, Gus Halper, Constance Marie, Constance Marie, Julianne Nicholson and Josh Charles. Caring or indifferent, every viewer is transported back in the time to witness the lawyers’ attempts to make the most guilty people look like innocent lambs, and then, seconds later, they are turned back into cold-blooded murderers. In conclusion, “Law & Order True Crime” is an eight-episode true crime installment that delves into the Menendez brothers’ crime story, reveals to us the whole the media circus, as well as the struggles of the defense and the shocking revelation that gives us a slight hope of a happy ending. No matter what happens in the end, you will find yourself smoothly transported back into the 90s, where you witness the incredible true story from the beginning to its end.